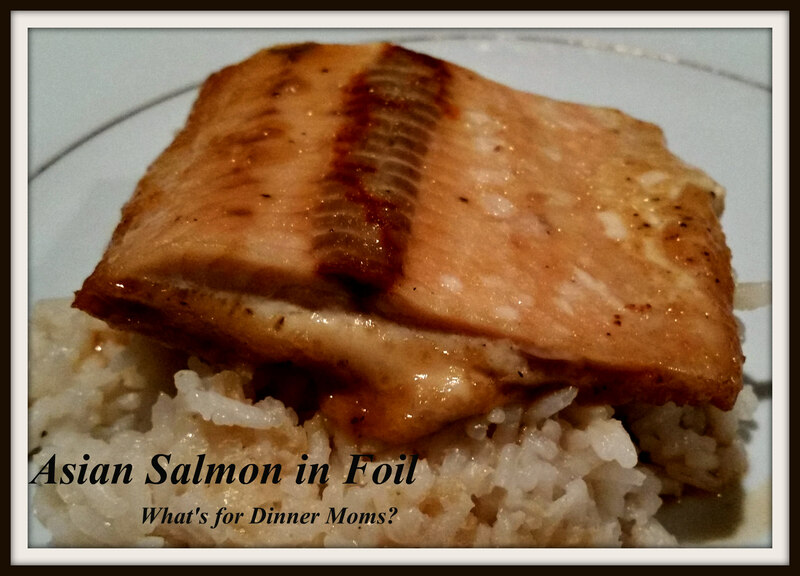 Asian Salmon in Foil – What's for Dinner Moms? Have you kept your resolutions so far? If you are like most of the world, no. I stopped making resolutions many years ago. But, I did like the idea of finding one word to guide your intentions in 2016. I immediately thought of three words (I always was an overachiever.) that I really liked but finally narrowed it down to one. JOY! Joy will be my guiding star this year with my life, my family and my friends. I think that joy being my guiding word will bring about the same thing as some of the other words I considering such as calm, peace and energy. Did you choose a word or make resolutions? How is it going so far? I know many people want to eat “healthier” this year. I am trying to always make better choices for my family but often fall short of what I think I “should” be doing. Gone are those expectations. We will eat food that makes us feel good and healthy. I will not feel guilty when we eat pizza, spaghetti or hot dogs. This is about life and having treats is part of life. This salmon dish made me feel good about what I was serving my family. The salmon was perfectly cooked and not dry. I served the extra sauce over the brown rice, a serving of green beans, and a green salad on the side. Both kids ate one and a half servings of the salmon. It had a nice sweet, tangy taste to it. Cooking the fish in the foil made clean up extra easy. For each piece of salmon create a little foil packet of heavy-duty aluminum foil on a cookie sheet. Fold the four sides up to the salmon but do not fold to seal. Mix honey, garlic, soy sauce, rice wine vinegar, sesame oil, ginger and black pepper in a bowl. Divide the mixture among the packets of salmon evenly. Fold the sides of the packet closed so none of the sauce leaks out. Bake 15-20 minutes (depending on the thickness of your salmon) until cooked through. Open packets and place under the broiler for 2-3 minutes to caramelize. Serve over rice, if desired, with sauce drizzled over the top. Previous Post Ramen Asian Salad – Happy New Year! Thank you! Try writing your words down and posting them around your house – bathroom mirror, refrigerator, corner of your computer screen, etc. I have done it to keep my word right in front of me to be my directive! I stuck them on my desk, just before writing to you, after looking them up. 🙂 And yet, some things I remember no problem! Figures. This looks very tasty, even though I actually dislike Salmon! Thank you! It’s actually one of the fish my kids like best. Lol. This really sounds delicious and tasty with the honey! Looks very lovely! Thank you! My kids love Salmon. I have not cooked it, but this sounds full of flavors I would love! I have to try it! This sounds amazing! Definitely cooking it. I’m trying this out on Tuesday.